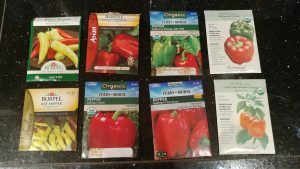 With soil-started plants being $4 each now and large peppers getting close to $1 each in the store, I am motivated to start my own peppers from seed. I have had virtually zero luck sprouting pepper plants. I have tried indoors, outdoors, seedling starter, potting soil, rockwool, covered, uncovered, etcetera, etcetera, etcetera. 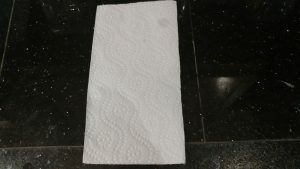 What I have not tried is the "paper towel method" so, today, I decided it was time to give that a shot. This post has A LOT of pictures but here is the gist. I used eight different pepper seed packets from three different vendors. The pepper seed packets also range in age from a few seasons old to new packets. 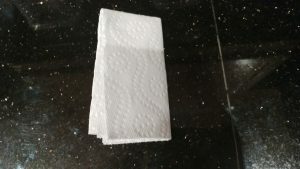 For the soaking of the paper towel, I have three different PH and PPM levels - out of the tap (7.6 PH / 180 PPM), slightly-acidic (6.6 PH, 190 PPM), and slightly-more-acidic (5.6 PH, 200 PPM). 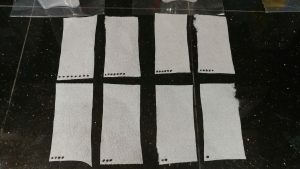 I placed four seeds on a piece of paper towel that had been soaked in their solution. I then placed each into its own small sandwich baggie. They are evenly spaced on a 21" by 44" heating mat set at 85 degrees. Here's how I did it. First, I mixed up the PH solutions. 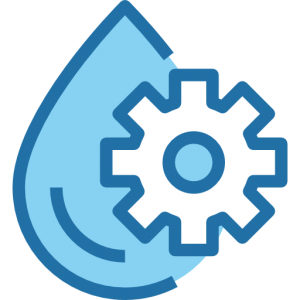 I used "PH Down" from General Hydroponics. When using this solution, I always wear safety glasses. Getting phosphoric acid in your eye would not make for a good day and it will not take much. To adjust the PH of one cup of water down to 6.6, I only had to use three little drops. 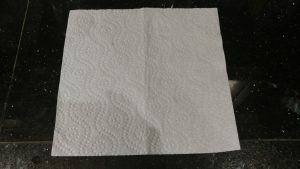 Second, I folded and cut up and marked the paper towel pieces. 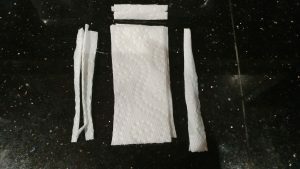 I kept folding the paper towel in half until I would end up with eight rectangle-shaped pieces. Then I cut along the sides with folded edges as shown in the next few photos. 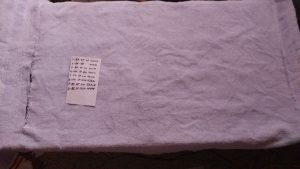 Third, I marked the paper towels and made a list of the pepper seed packets so I could know which seeds are doing well and which are not. 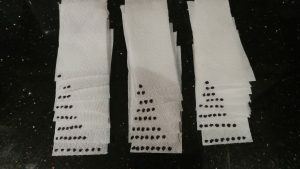 For the paper towels, I placed anywhere between one and eight dots on it using a marker. 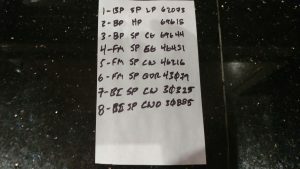 I then made a list of the pepper seed packets on a separate piece of paper and corresponded the number of dots with a pepper seed packet. 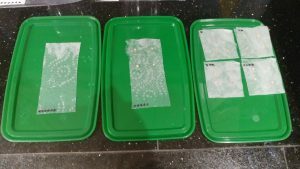 Fourth, I made a set up of three shallow plastic lids - one to hold some solution, one to hold the paper towel while I placed the pepper seeds on it, and one to hold the folded paper towels and pepper seeds before I put them into the plastic sandwich baggies. 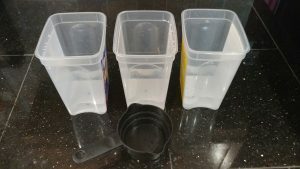 I poured a little bit of the solution into the first lid (left), pulled it out of the solution after it was soaked and placed it on the second lid (center). 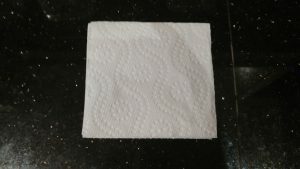 I placed four seeds in the top half, folded over the paper towel, and then placed it on the last lid (right). Fifth, I placed each folded paper towel with the pepper seeds in it into a small sandwich baggie. 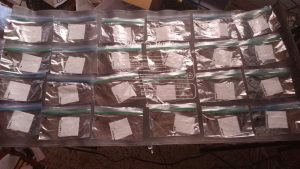 I marked them with their PH number and I placed those sandwich baggies on a seedling starter heat mat set to 85 degrees. 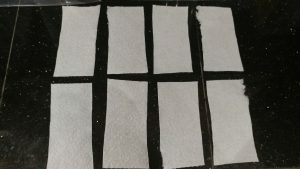 Sixth, I covered them up with an old towel to keep the heat trapped from the seedling starter mat. I plan on checking the pepper seeds each day in the evening. 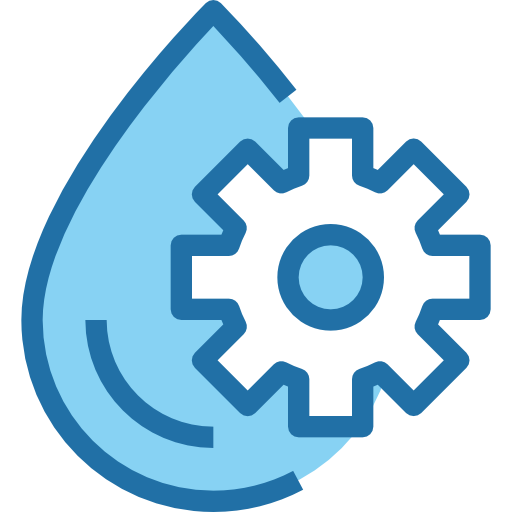 I will keep this page up-to-date with comments and pictures.